Teaching The Old French New Dog Tricks? I saw this poop sack dispenser, complete with step by step instructions, at the Tuileries today and it made me smile. 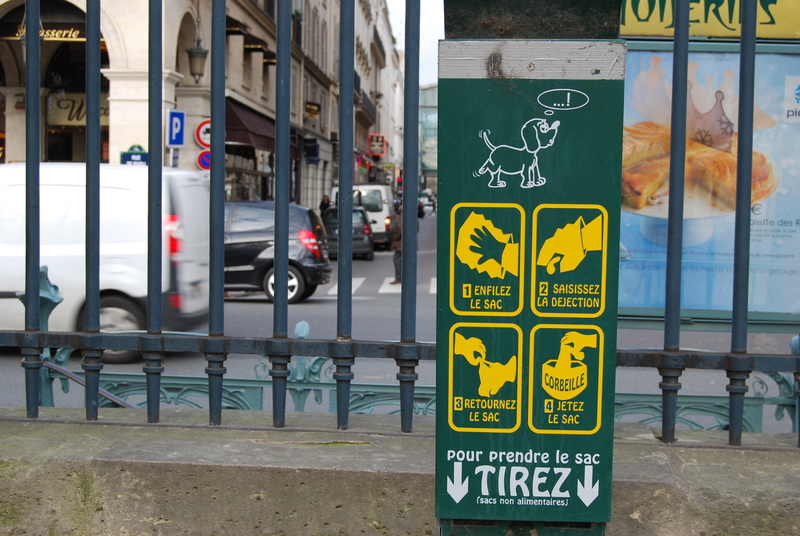 Apparently that is why Parisians are notoriously bad about not picking up after their dogs- they just didn’t know how! There was an additional notice on the sign saying that this new dispenser was there on a trial basis and would be evaluated after six months. I wonder if it will catch on? I would say not, unfortunately. I’ve seen those dispensers around for years and yet it’s still impossible to sidestep the poop.